Following a divorce, alimony may be awarded to help a struggling spouse transition to single life, with the hope that both spouses will eventually secure an independent source of income. In New Hampshire, courts rarely award permanent alimony. In determining short-term alimony, the courts will consider the relative income of each party and each party's ability to make money. As part of a divorce order, a court may award alimony, meaning that one spouse must make payments to his former spouse. 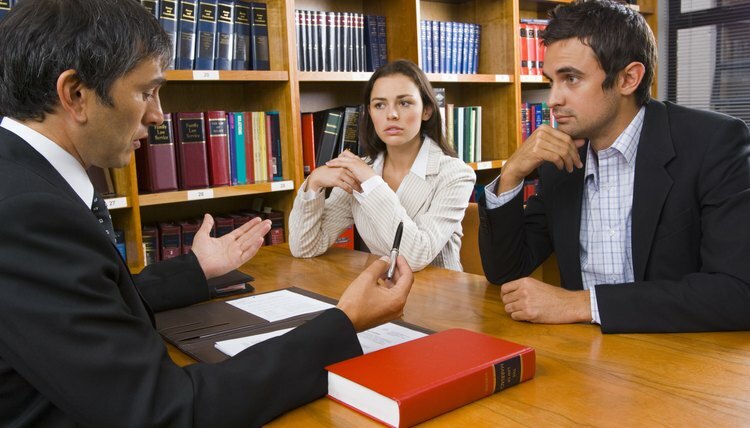 Generally, a spouse will request alimony in the initial divorce pleadings. However, New Hampshire allows spouses to request alimony up to five years after the divorce order is finalized. A court will typically award alimony upon finding that one spouse does not have the income or property to reasonably support her needs and is unable to become self-supporting through appropriate employment. Further, alimony will only be awarded if the other spouse has the financial ability to pay while also supporting himself. When a court finds that alimony should be awarded due to the financial circumstances of each spouse, it will look at a number of factors to determine the alimony amount. The court may consider any facts it finds relevant, including the length of the marriage, age and health of the spouses, ability of each spouse to earn an income based on education or training, and marital fault of either spouse in causing the divorce. Further, the court will look at the standard of living enjoyed by the spouses before the divorce. At the discretion of the court, it may consider non-financial contributions either spouse made during the marriage, such as taking care of the home and children, allowing the other spouse to work or attend school. New Hampshire courts may award different types of alimony, although most alimony awards are rehabilitative. The presumption under state law is that most spouses are capable of supporting themselves financially and alimony should only be awarded on a short-term basis. Rehabilitative alimony provides support for a spouse while she takes steps to secure an independent source of income, for example, by returning to school or acquiring skills to return to work. The court may also award permanent alimony; typically, this occurs in cases where a spouse was in a long-term marriage and lacks necessary job skills, is unable to work because of physical or mental illness, or must care for a dependent child. Further, New Hampshire courts may award lump sum alimony, providing a larger single payment to one spouse, or periodic alimony, smaller payments made over a period of time. If circumstances have substantially changed since the original alimony order was put in place, you may file a motion to modify the alimony order. A change of circumstances may include increased income of either spouse, new employment or a large inheritance. However, New Hampshire courts will only grant modification if the change of circumstances was not known at the time the original order was put in place. For example, if the spouses and the court were aware that one spouse was starting a new job a few months after the original alimony order was granted, the court likely would not grant a modification despite the increased income. When spouses file for divorce in Pennsylvania, a financially weaker spouse may be entitled to alimony. Pennsylvania courts award alimony based on financial need. It is not a punishment for any misconduct that may have caused the divorce. Even if spouses are filing for a no fault divorce, one of them may still owe alimony to the other. Spousal support, or alimony, refers to the payments made to one spouse by the other during a separation of after a divorce. It is based either on an agreement between the couple or by a determination of the court. The purpose of spousal support is to limit any unfair economic effects of the divorce to the receiving spouse who is typically a non-wage earner or the lower-wage earner of the two. For example, a spouse who left the workforce to raise the couple's children might need money to get job training that will help her support herself after the divorce. While the length of the marriage is a factor that courts consider before awarding spousal support, it is usually not the only consideration. Can an Ex-Wife Get Alimony After a Divorce in North Carolina? In North Carolina, it is possible to petition for alimony after the divorce is final, provided certain procedural requirements are met prior to the judgment. In North Carolina, divorcing spouses generally pursue an "absolute divorce," which, unlike a fault-based divorce, is granted solely on the basis of the couple's one-year separation. This type of divorce is most similar to the "no-fault" divorce followed by many other jurisdictions and does not require allegations of fault or misconduct. Also, fault-based divorces generally require lengthy hearings prior to finalization to work out other matters, whereas an absolute divorce allows parties to obtain a divorce and work out other issues afterward. Alimony is one of many issues decided during the divorce, and parties to an absolute divorce are free to agree to their own alimony terms during marital settlement negotiations, which can occur either before or after finalization.